 The Community Foundation of Southern Indiana can make creating your charitable legacy simple, easy and flexible. With the language suggested below, you can establish a charitable bequest fund at the Community Foundation that will provide support for your favorite causes forever. We provide the personalized services to you that help make this kind of charitable giving easy, flexible and meaningful. You can make a bequest to the Community Foundation through a Will or living trust to establish a new endowment or add to an existing endowment fund (any new fund must meet the minimum size requirement for an endowment). Your gift can be for a specific amount, for a percentage of your estate, or for the remainder of your estate after all expenses have been paid and all other bequests honored. We can even work with you to create a fund that will endow your favorite charitable causes, and make immediate distributions to others. One fund truly can “do it all” for your charitable objectives. When you establish a bequest fund, we’ll work personally with you to capture your charitable vision in a written Fund Agreement, which is kept on file at the Foundation. You won’t have to revise legal documents if your wishes for the use of your future fund changes over time. We are happy to make revisions to the fund agreement during your lifetime. We’ll keep the most recent written instructions on file for that future day when the fund receives assets from your estate.